Made to last and styled to please, these abandoned firehalls silently linger on long after the factories and buildings they were built to protect have gone. Built in 1890, the squat, red brick Centennial Fire Co. #4 in Peekskill, New York appears positively ancient in contrast with the circa-1932 iron bridge looming just overhead. The two-story structure featured an attached outbuilding that once housed a pair of horses, Homer and John, who pulled the station’s fire-wagon in times of need. Full credit to Flickr user donbco for the image above, taken on a beautiful sunny spring day in April of 2008. 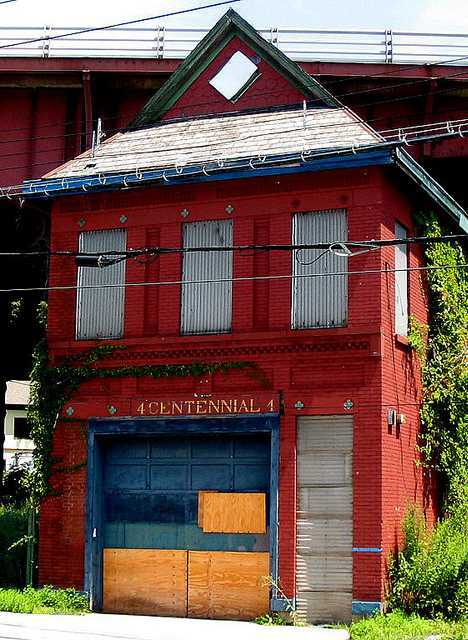 Centennial Fire Co. #4 was closed on Oct. 19th, 1980, and sat abandoned beneath its sheltering bridge for nearly 30 years. Finally in 2008, funding was arranged to move the historic structure a short block away to a city park where it was to be incorporated into a firefighter’s memorial. Unfortunately, the move ended before it really began when, on August 21st of 2008, a hydraulic jack failed and the building crumpled (see it here!) like a house of cards. Outwardly resembling a mid-century American ranch-style bunglow, this abandoned firehouse in Harju County, Estonia, is anything but. As captured in 2010 by Panoramio user Salasilm, this plain and pleasant building in the village of Suurpea, about 30 miles east of Talinn, is just beginning to display signs of neglect and abandonment. It’s not alone – only a couple hundred people still live in the village which seems to have enjoyed much better days as a Soviet-era military base and housing estate. Engine House 22, Detroit Fire Dept. Built in 1895, the Detroit Fire Department’s Engine House 22 witnessed the much-maligned city’s rise and fall. The firehall itself fell silent in 1983, only to reopen in 1991 as a Spanish restaurant called Casa de Espana. The twin “skylights” above make more sense when one imagines the original pair of fire poles in place. 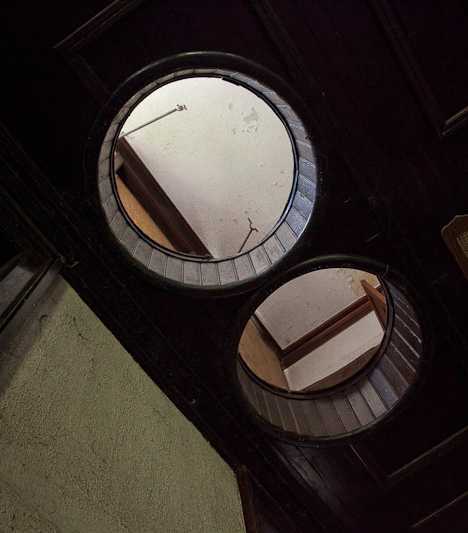 Kudos to DetroitUrbex for these inside & out images of this forlorn firehall. Shortly after one of the restaurant’s owners lost his life in an auto accident, the business closed and the building resumed its slide into neglect and decay along with so many other examples of classic Detroit architecture. Recent reports state the structure may implode on its own before the wrecking ball swings; part of the roof has already fallen in. Built in 1869, one year before the town of Dorchester was annexed by Boston, the Engine Co. 18 Firehouse certainly has a lot of history behind it. Located at 30 Harvard Street in the Four Corners section of Dorchester, the station closed on June 11th of 1960 and spent the next 45 years as a pre-school and daycare center. 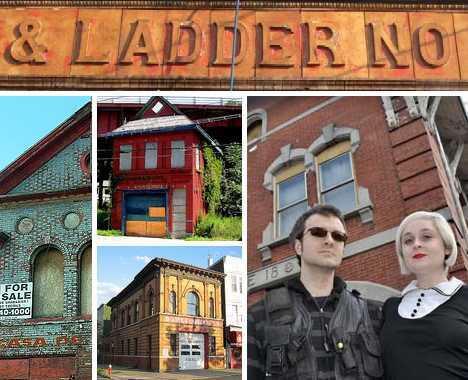 Abandoned since 2005, the historic building was finally sold in 2012 to a young couple who plan to restore the building as a live-in arts space.